Peter C. Lomtevas Esq., P.C. Law Office puts the needs of your children first. 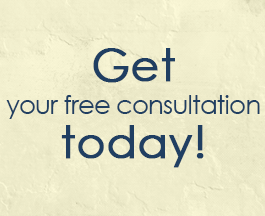 Reach out to us today to plan your visit to family court alongside an attorney team that cares about your family's wellbeing. Discover the answers to questions asked by people just like you when you browse our FAQ. As a family law attorney, Peter C. Lomtevas is more than happy to guide you through many complex family law matters. When it comes to your family's safety, you deserve the best legal aid available in Brooklyn. Peter C. Lomtevas Esq., P.C. Law Office is a New York-based team of specialists offering comprehensive assistance in family court for more than 10 years. Peter is an experienced family law attorney specializing in child custody and child support. He practices in all boroughs in the cities of New York and Long Island. We also work on domestic violence and criminal defense cases. Services are available in both state and federal courts. Residents throughout all New York State counties are eligible for service, and pro hac vice in any other state. The office also offers appellate book binding using professional velo-binding equipment. Call us with your appellate book binding needs. Contact us today to recruit a family law attorney when you're facing a divorce or child custody battle.